If you've been following me this past year, you most likely know that I'm new to the whole blogging world. If you’ve been following closely, you may have been wondering what I’ve been up to. Between inconsistency and imperfection, I’ve been wondering the same. I had great vision for 2018. Finally going live and sharing my blog with the world was a big deal to me and a desire that lived deep in my heart for over five years. While my dream became a reality, I can't necessarily say it was pretty or ideal. With a record-setting five blog posts, my last one taking place nine months ago, I think it’s safe to say I may have gone live, but fell short of actually blogging. God has been doing so much behind the scenes, leaving me out of the loop most of the time. On the outside it may have not been pretty and it caused this Enneagram 3 to experience #thestruggleisreal. However, He had been crafting a beautiful story. I’m excited to say today is the day I get to share it! Starting my blog on January 1st was a huge step of faith. A step that was drowning in fear. This dream may have been in my heart for a long time, but it wasn’t a path I was comfortable walking down. Part of me starting was with the mere hope I’d fail so I can put this dream to rest. As much as I wanted it, I was equally terrified, and not doing the hard work of being a faith-based blog in my already crazy world seemed like the much more comfortable option. Since the idea had consumed my mind for so long, I wanted to be free from the desire and felt that creating my blog was my only way out. So while I started, I carried no vision and quickly lost steam. I became overwhelmed with trying to figure out how to get what was in my head onto paper and eventually onto my site. My last blog post took me SIX HOURS to craft. I was utterly defeated over the fact I didn't have time in my life for this desire and began to struggle with it all. By God's grace, He told me to put it all aside and just trust him. To be honest, it was such a relief. While in some ways I could have looked at it all as if I had failed. God helped keep my head above water and my desire to keep an open heart towards this dream and for this season to stop trying to figure it all out. While I still kept it alive in my mind reflecting on some aspect of it every day, I now carried no expectation and finally stepped into a place of freedom. God knew I would be onto something else in no time if he didn't keep this desire alive in some way. I feel that is the reason he gave me an analogy in the wait. He helped me see how my blog was like being pregnant. While I have not carried a child, I have countless friends who have and have watched them all walk through it in detail. First, they find out they're pregnant, and for months they don't know what's going on in there. They just know it's growing and they should be making choices that support the growth of their child. They begin to change and restructure their life, but at this stage, it's all figurative as they don't have a clue what it will actually be like once their child is in the world. In the same way, the vision I kept getting for my blog lead me to believe God was growing something but still it was out of my control and all I can do is make the choice that would lead to one day actually having an idea. So I just kept doing what I was able to, and avoiding being overly consumed by it all and set the process and expectations aside. This season was so full with the rest of my life it was an easy thing to do. I embraced Instagram stories and micro-blogging to keep putting my words down and working through the fear of sharing my content with the world. While consistency still wasn’t my thing, God kept pushing me in that direction, so I just kept heading that way. As September approached, I realized my 9-month pregnancy analogy was no longer going to apply. I still had zero clue the direction I was headed with my blog and could not imagine having more clarity by the first. I dismissed the vision God gave me realizing it was just me and my imaginative thinking. It was on September 1st I was driving back from a wedding I captured and realized I completely forgot about the fact I was hoping to have birthed my blog into the world for reals on this day. I quickly dismissed the idea not to let my expectations cause disappointment. At this point, I was honestly just stunned. In all the hundreds of notes and brainstorm sessions I've had, I never came up with anything even close to this. While yes, I did see planning as an essential component, if not the central element, God took me in a new direction I couldn't have imagined. The vision he gave me I haven't even seen anywhere before! I just kept saying it over and over for the rest of my drive home. Planning, Living, and Documenting Life. I was in complete awe as to how it made such perfect sense to me. This at the core is the vision for this blog, and I would have never been able to put it into these words. It came to me in a moment, when I was making zero effort with thinking about it. As a self-proclaimed striver, God once again shows me what he is able to provide in crazy ways if I choose to be still. 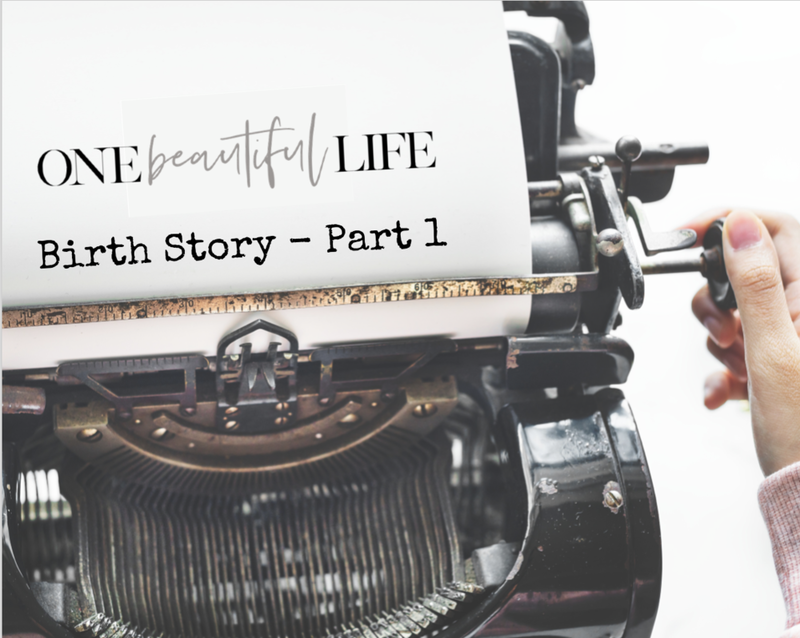 Come back on Monday for part two of the story that goes into what I’ve been doing since God provided this vision for the blog and how He showed up once again in a crazy way at a time when I was lacked faith and direction. Also, I'll be announcing a free resource that I'm so excited to get into your hands! You won’t want to miss it! !